I am part of the STUBB’s Insiders program and was provided with a promotional Item in return for this about grilled steak kebabs with avocado dip recipe post. All opinions are 100% my own. 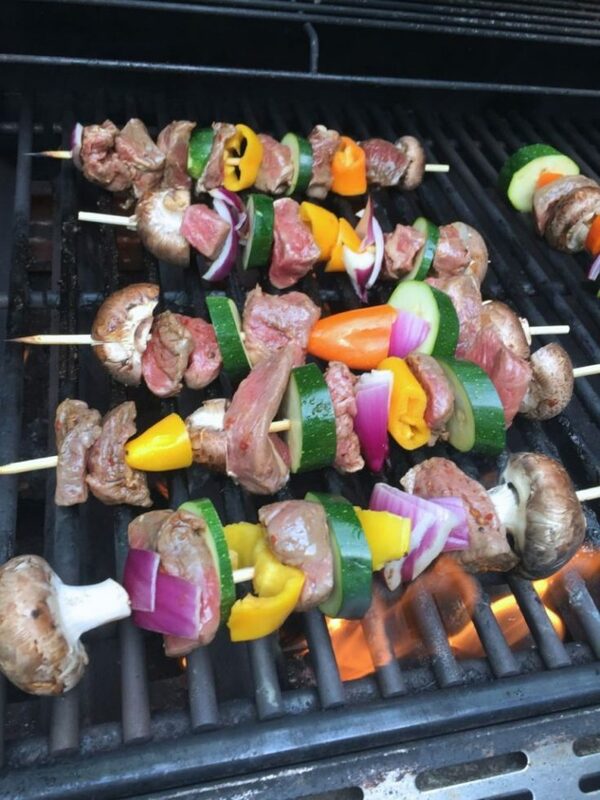 Some of my favorite grilling recipes are kebabs especially when summer entertaining. You can marinate the meat the day before and assemble the kebobs hours before anyone walks in the door leaving you more time to actually engage with your guests. Plus if you do a kebab that includes veggies, its like making an entree and side dish all at once. Plus I think people like having individual servings like this. Plus is May is National Barbecue month so we had to share these amazing steak grilling recipes. 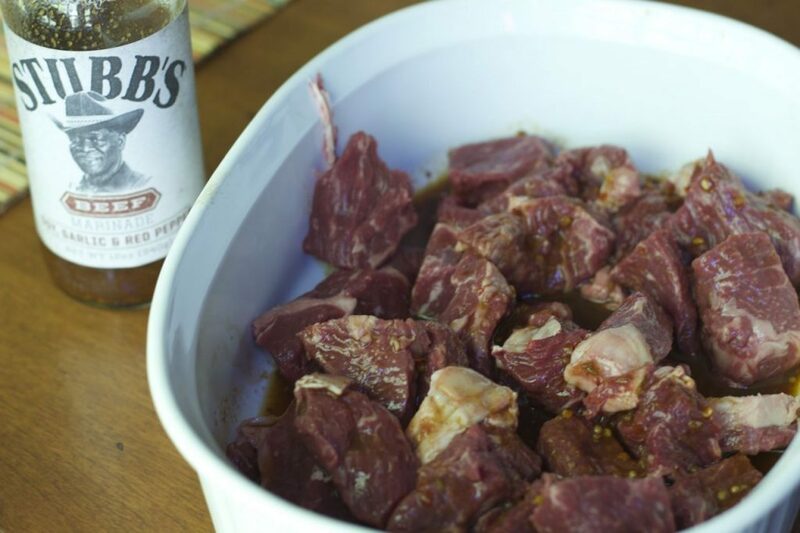 When we are looking for a quick marinade or BBQ sauce, we usually reach for STUBB’s sauces. They are are certified gluten-free, made with real ingredients and contain no artificial ingredients, colors. flavors or high fructose corn syrup. Every marinade we have tried definitely gives a little kick to the recipe we are preparing, but not too much the kids would not eat the recipe. . The beef marinade we used for these steak kebabs was no exception. Get premium Premium Angus Beef at great prices delivered to your doorstep. 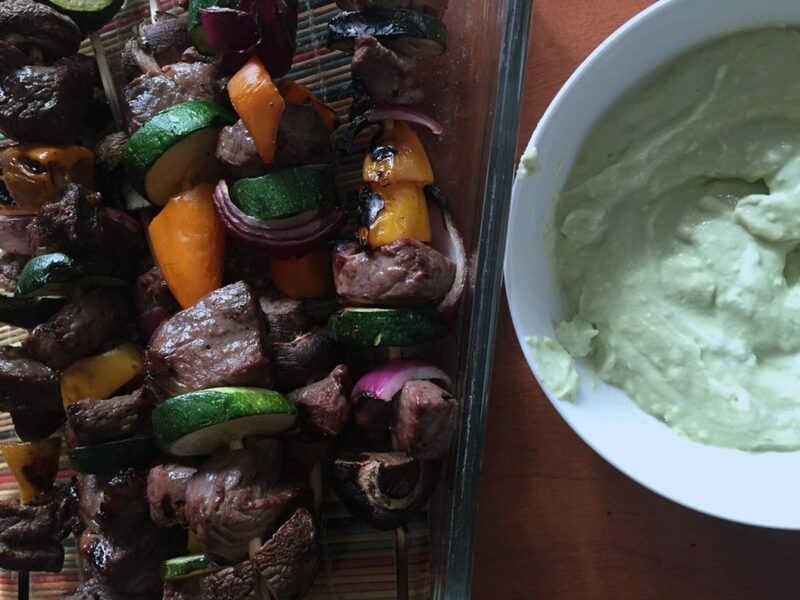 Since it was a little on the spicy side, we paired our beef kebabs with a refreshing avocado dip. Which was easy and the perfect flavor to compliment the beef. Simply cut up your steak, and marinate for a couple of hours. Cut up your veggies of choice, the more the merrier in our house. Skewer them onto wooded skewers that have soaked in water so they don’t burn. You can make appetizer sizes or use the larger ones for more of an entree size. The combinations are completely up to you. If you have a casual party, create a kebab bar and let your guests create combinations that fit their pallets. The key is not to cut your protein too large that the veggies burn before the meet is cooked. Bring out the grill and the magic happens. , place the veggies in a separate large bowl and drizzle oil over. Add salt and toss well. Place one piece of steak on a soaked skewer followed by a mushroom, a piece of bell pepper, an onion, a zucchini and another piece of meat. Keep at it until your skewer is filled up. Repeat with remaining kabobs. 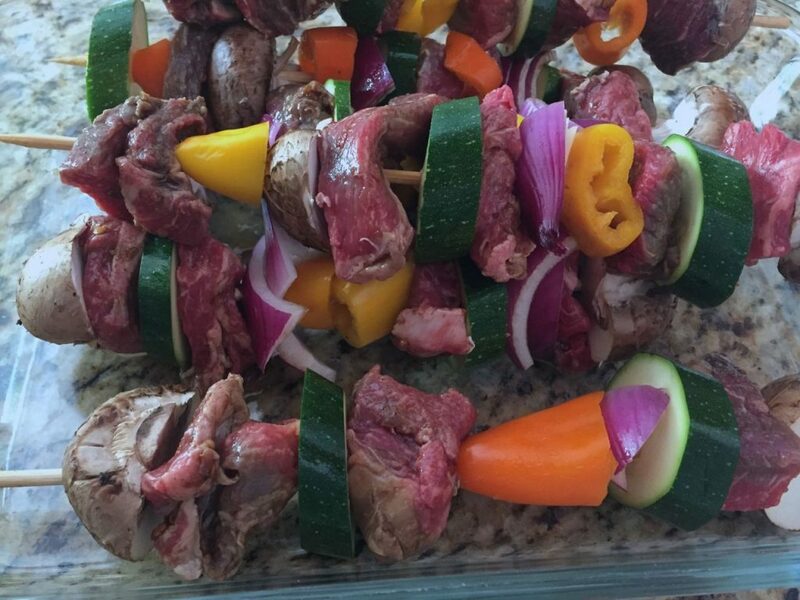 What veggies would you add to these grilled steak kebabs recipe? These kabobs look amazing. I have always wanted to make kabobs but never have. This will be perfect to try something new to grill. It may be that I am not the most artful griller, but I have to marinate meat before i grill it or it’s just not very good. Love the Stubbs! This recipe looks amazing, and fun to make! I like grilling and these Steak Kebabs with Creamy Avocado dipping sauce is one that I want to make! Thanks for sharing a yummy recipe. wow do these look good! 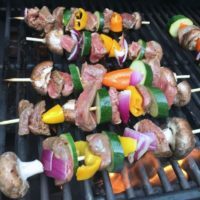 I love steak kebobs, and I never thought of pairing them with avocado dip, but I love the idea and must try it!